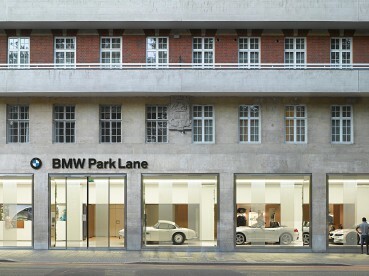 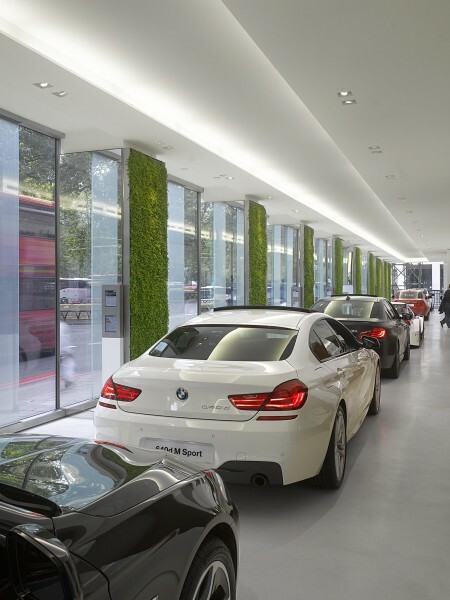 Running parallel with Park Lane and Hyde Park the exceptionally long 78 meter historical building façade with 17 existing display windows separated by 18 stone columns was the primary challenge and subsequently the backbone in the conception of both exterior and interior of the London BMW showroom. 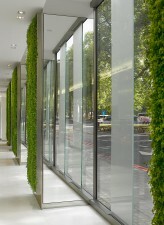 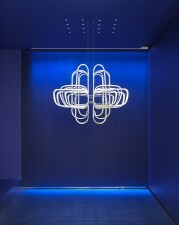 Rather than reinforce the expression of a series of small boutique scaled windows, CARBONDALE added translucent column-sized LCD panels onto the transparent display windows to create a dense rhyme of alternating opaque and transparent opening that unify the entire length of the façade into impressive singular gesture. 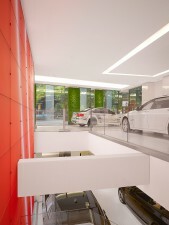 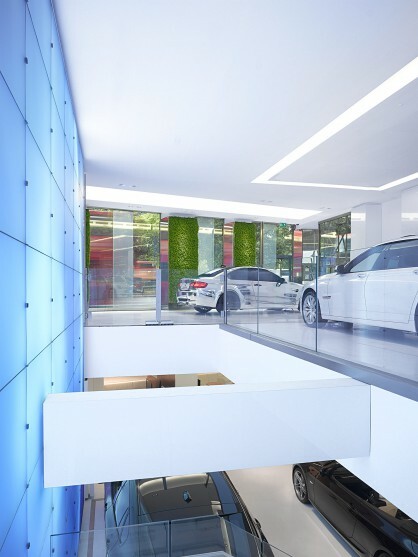 At first, opacifying the windows seems counter to the commercial objectives by limiting views to the cars inside. 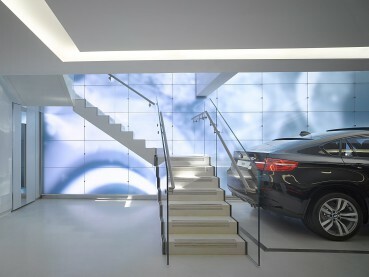 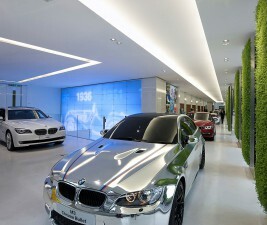 However, the LCD panels are digitally programmed to become transparent, unveiling the cars inside as well as creating a rhythmic façade animation correlated with the movement of the passing automobiles on Park Lane and evoking the speed and velocity of the BMW brand. 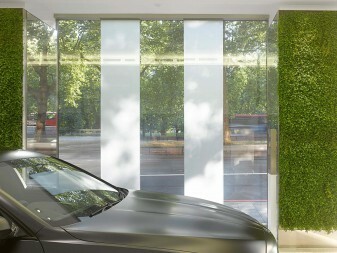 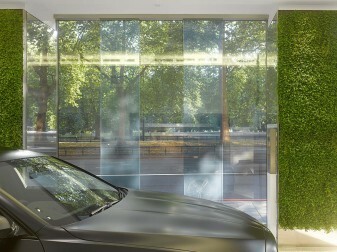 At the interior, the surface of the columns are lined with vegetation melding with the views of Hyde Park to erase the façade architecture into a vegetal backdrop accentuating the internal linear street where the cars are displayed.